Most of the articles below are archived on the website(s) on which they were originally published. Consequently, I’ve simply linked to the archived articles, rather than reprinting them here. If a link is bad, please let me know. I have copies of each of these articles, so if the site ever deletes them or goes down, I can publish the articles directly. Also, the sections that are updated more frequently are in reverse chronological order - the newest articles are at the top. Since WorldNet Daily and Wolfe's Lodge will not change, I've placed them in the order in which they were originally published, so you can start from the beginning. Sierra Times - Articles that have been published on Sierra Times. Membership is no longer required, so read and enjoy! Backwoods Home Magazine - Yeah, Dave Duffy and company at BHM have earned their very own Claire archive. Way to go, guys! Miscellaneous - These are articles that Claire wrote which have been printed in various places. They include those on Doing Freedom! and The Libertarian Enterprise, as well as others. Reviews - Book and film reviews that Claire has written. Some of these reviews are listed in other areas as well, while some are listed exclusively in this section. About - These are articles about Claire and/or reviews of books she has written. WorldNetDaily - Claire’s FreeLife columns from her stint at WorldNetDaily.Com. Includes the original "Hardyville" columns. 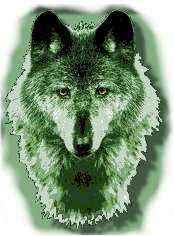 Wolfe's Lodge Archive - These are articles that appeared on Wolfe's Lodge, Claire’s personal website (which recently shut down).